Phone Finnegan Menton today for an immediate appointment on 01 614 7900. Ideal starter home or property investment. 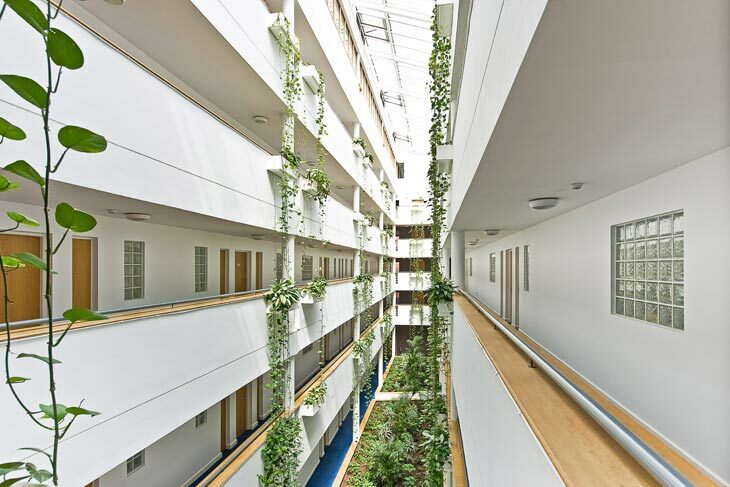 Executive 2 bedroom apartment in the heart of the IFSC with balcony looking over Custom House Square. 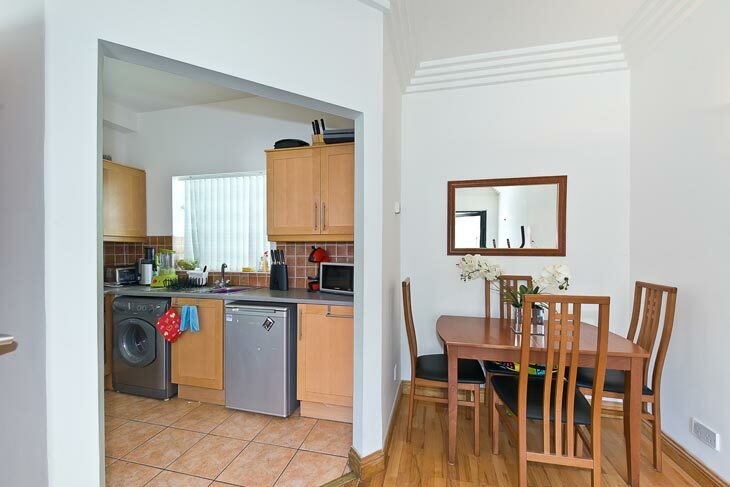 This 2nd floor apartment has 1 car parking space and is beside shops and restaurants. 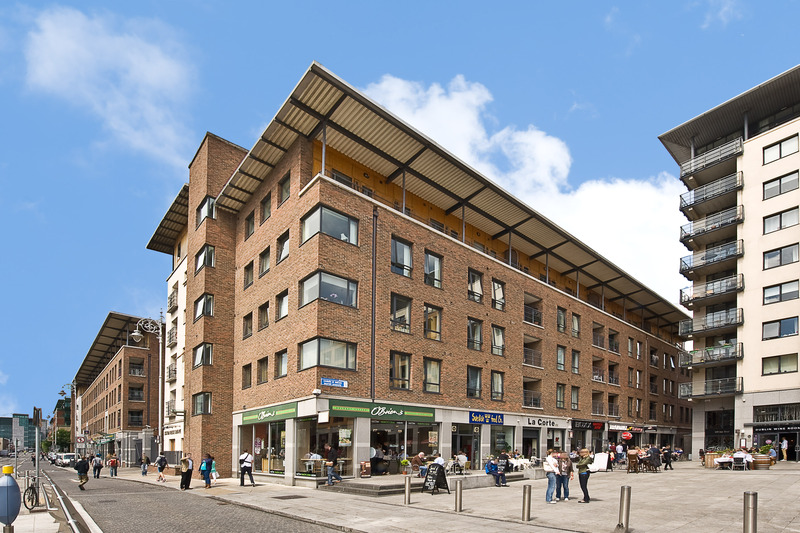 Located in the heart of the IFSC overlooking Custom House Square, directly beside the Luas stop for IFSC. 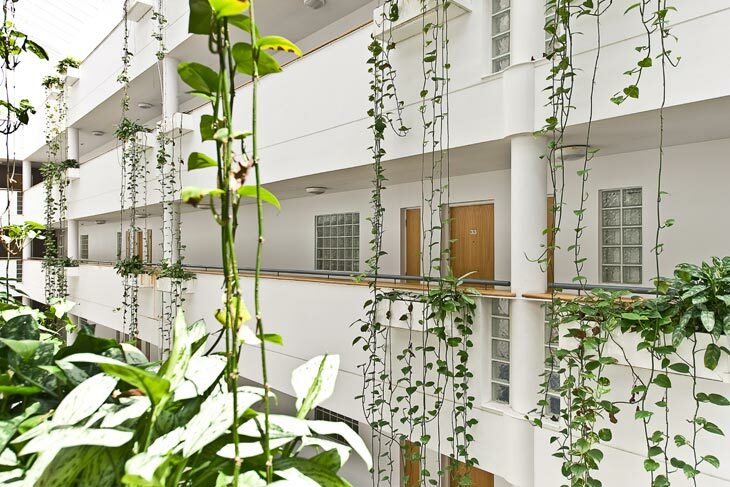 The building is directly opposite National College of Ireland. c.58 sq.m. / 625 sq.ft. Beech wood floor, thermostat control panel, hotpress, storage press, telephone point, intercom to main door. Beech wood floor, elegant coving architrave, light fittings, great open plan space with living and dining area, table and four chairs, balcony door, tv point. 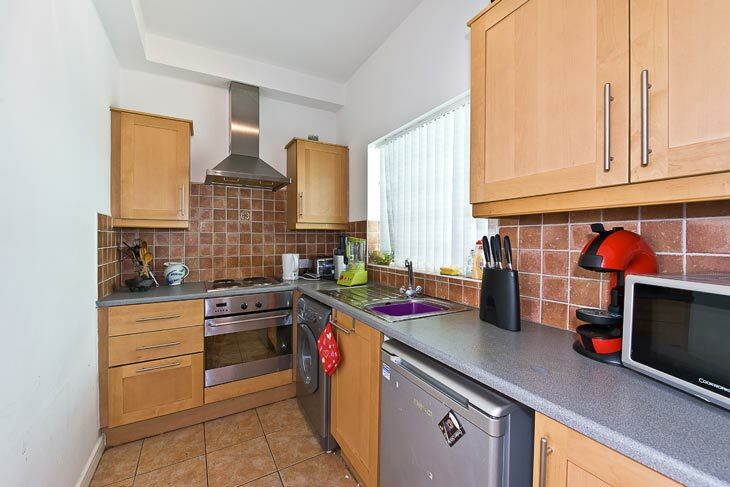 Maple shaker style kitchen with stainless steel cooker, hob and extractor fan, Beko fridge, Hotpoint washer/dryer, complete wall and floor tiling, glass block window on to the central courtyard makes this kitchen bright and airy. White bathroom suite comprising WC, whb, bath with shower and shower screen, partial wall and floor tiling, glass block window adds light. 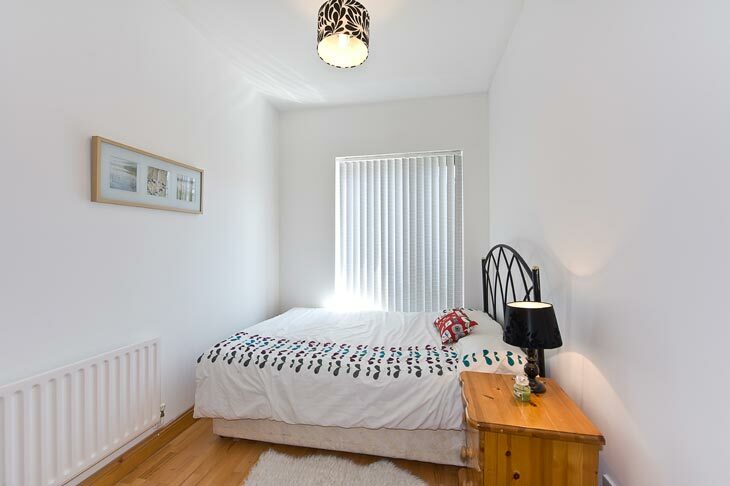 Double bedroom, beach wood floor, full length window, fitted wardrobe, coving. 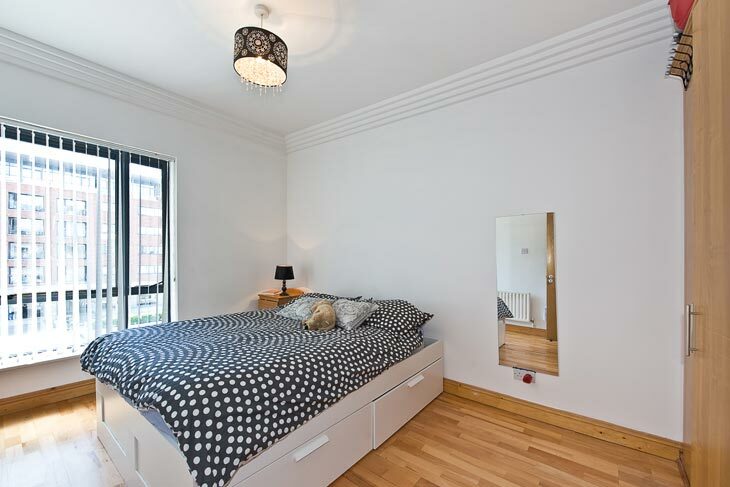 Larger double bedroom, beech wood floor, full length window, fitted wardrobe, coving. Small balcony with room for 1 table and 2 chairs. South Easterly facing balcony. Beside the Mayor Street Luas stop at Custom House Square. 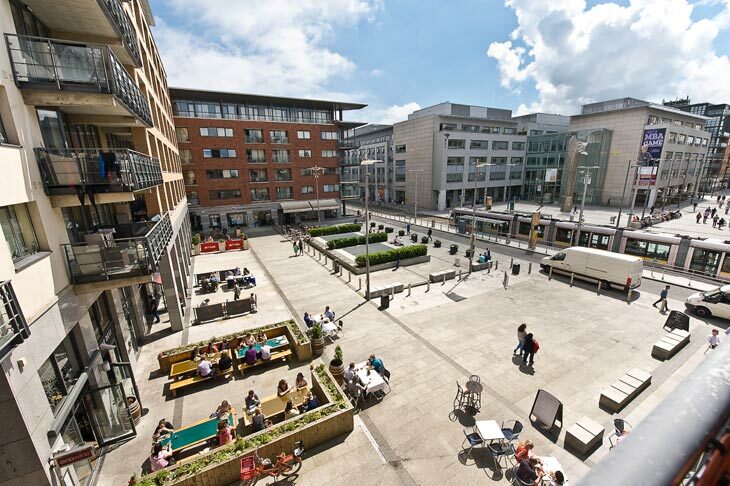 Located in the centre of the IFSC. Parking Space:Space 261 in the basement. Viewing: Open Viewing: Tuesday 8th July between 1 and 2 p.m. Please register your attendance for access. Or, by appointment. Management Company: Custom House Square Management.